"I had many procedures, like bone-grafting, implants, gum realignment, and more. I now have a great smile and perfect upper teeth!" "Whats not to love about Dr. O'Connor? He's super friendly, easy to like, will not "sell" you on something you do not need, and is very, very particular about his work." "Dr. Tom & his team were honest, professional & gifted in the cosmetic dentistry & dental implant industry." "...he carefully explains procedures to whatever the interest level of the patient, using models, computer simulations, etc." "I recommend him for anyone that has a fear of dentists and requires major work." "Dr. O'Connor is rated #1 out of 296 Saint Louis dentists based on 200+ reviews." Let Dr. Tom O'Connor and his team restore your confidence! Dr. Tom and his team are focused on your comfort and confidence. We've helped thousands of patients with our approach to high quality, technologically advanced dentistry and personalized care. We proudly offer comprehensive general dentistry and implant services to patients in St. Louis, St. Louis County, and surrounding areas. In fact, we have been here for 40 years. Read our 200+ positive testimonials! Multiple problems: you've been to the dentist 50 times, but still have failing dentistry, decay, and gum disease. Ready for a long-term solution: many of our patients have had a lifetime of dental issues, and are ready to move to the best long-term solution. Struggling with removable partials or dentures: if you've lost most, or all, of your teeth, we can help bring a dramatic, positive change to your life with our advanced digital, implant-based treatment. We see only one implant patient at a time. If you've visited other implant practices, you know that this is unique - you are the only focus of our team on your appointment day. Our focus is on restoring your smile, confidence, and lifestyle. Initial consultations with Dr. Tom himself. Unlike other implant practices, your initial consultation is a 1:1 with Dr. Tom himself. You'll discuss your unique situation and make a custom plan for your care. The latest, guided implant technology. We use “SMILE NOW” Full Arch Dental Implant Restoration - the latest in 3D Digital Guided Implant Technology - to ensure a perfect fit the first time. This reduces your time in office to the absolute minimum, and often allows us to truly deliver Teeth in a Day! Our first priority is your comfort. The best part about being a patient at our office is feeling and looking good after your dental health and aesthetics are improved. We guarantee that your experience will be comfortable and positive. You might even choose to watch a DVD during your dental appointment or bring your own music and headphones. Your individual needs are always considered and your choices respected. Dentistry has changed dramatically in the 40 years Dr. Tom has been practicing. New materials and techniques have given us the means to perform wonderful transformations. We can restore areas of your smile where some or all teeth are missing with the help of dental implants. Cosmetically, we work magic with an array of procedures to repair and replace teeth and, not incidentally, restore your self-esteem. If you are looking for the finest dentistry available, demand to see it in photos, writing, in the words of existing patients, continuing education credentials, and in one-on-one conversations. Dr. O’Connor provides exactly this information on this website and during initial consultations for patients to learn more about his services and qualifications. At our St. Louis dental office, we personally partner with you to help you get what you want. Dr. O'Connor loves to hear from current and future patients! Feel free to contact us with any questions you may have. We look forward to providing the modern and comprehensive dental solutions you need to feel good about your smile and benefit from better dental health. 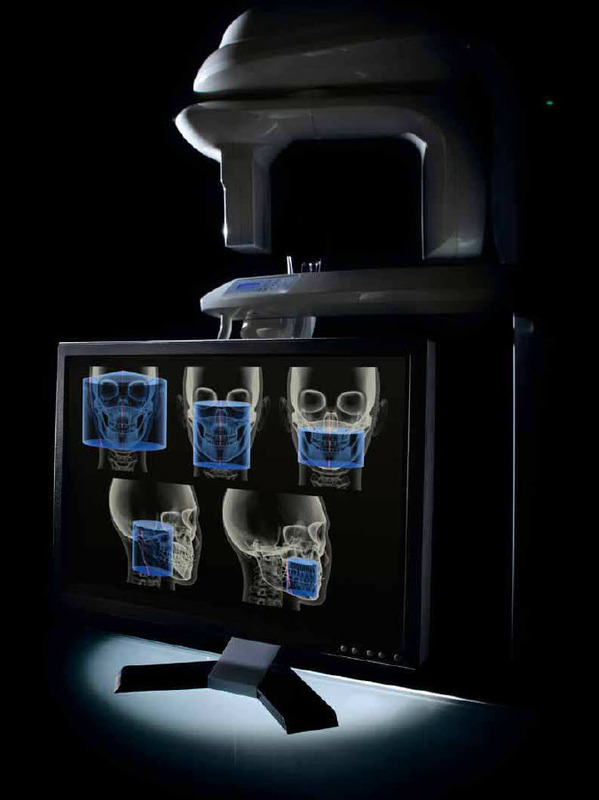 Click here to find out more about 3D technology! "I’m really happy I went to Tom! Tom was my first dentist over thirty years ago. I’ve been out of state and as soon as I moved back I headed to Tom. I greatly appreciate his knowledge, expertise and guidance to get my dental health back. It was a HUGE overhaul and with the help and support of Tom, Diane, Cathy and Jacqueline I was able to make it through the entire process! I really love the end results, it’s a great feeling to share a smile again. Happy and Thankful -Michael"
Patient Review 222: "Great service, great people, and a knowledgeable dentist with a lot of experience. Highly recommend." "I need more stars!! There are just too many positive things to say about Doctor Tom and his crew to fit them in a comment box. Let me start at the beginning -- There's ample parking mere steps away from the front door (a boon to those of us not so steady on our feet). The waiting room is spacious and comfortable. The staff, Doctor Tom, Diane, and Kathie, are so warm and friendly that you instantly feel comfortable and secure. You know you're in good hands. All procedures are described not only in advance but again as they occur. There is continual concern for the slightest discomfort and instant action if necessary, which wasn't often. Their sleep drugs work like a dream! The work done on me was extensive -- removal of all my existing teeth and replacement with gorgeous new uppers and lowers that look just like the originals. I couldn't be happier. And maybe the nicest thing you can say about a dentist's office...I'll truly miss everyone there! Thank you all for taking such good care of me." About Front Desk: Friendly and flexible. About Hygienist: Kathie is gentle and thorough. "Same Day Dental Makeover!!! Friendly and professional environment. Dr.O'Connor went the extra mile to ensure quality results. Multiple extractions and implants were done the same day with aide of sedation dentistry. Walked in with a less than par smile and left with a perfect smile in one day. To have new permanent teeth without having a denture in place was nothing short of a miracle."